ARE ALIENS A THREAT? WATCH THE DEBATE ON LARRY KING LIVE FRIDAY @ 9PM ET! Don't do it, Stephen Hawking advises. It would be much better for humans to keep a low profile, he says. There's a good chance we don't want aliens to come calling, Hawking says, because they very likely wouldn't be the cuddly, ET types we hope for. "If aliens visit us, the outcome would be much as when Columbus landed in America, which didn't turn out well for the Native Americans," Hawking warns in a new Discovery Network TV series. Wouldn’t it be something if the ‘aliens’ that Hawkins describes as existing are just human beings who inhabit a second planet earth; the only difference is that these human beings respect each other differences, respect each other’s right to live their lives and don’t embrace violence and failed capitalistic greed? That would make them not humans at all. The universe is astoundingly vast. It would be foolish to assume there are no other lifeforms out there. This is not to be confused with UFO sightings or alien encounters (which are highly suspect). As reported in the article: Hawking fears "aliens might simply raid Earth for resources, then move on." Unfortunately, mankind is in the process of doing just that to our planet and we cannot move on, no place to go. So until (or rather when and if) the aliens arrive, we earthlings must respect our natural resouces and each other – especially our "human" rights, our "inalienable" rights. Otherwise, we won't have to wait for aliens to destroy our existence – we'll manage to ruin things quite well on our own with our violent methods against each other and nature. Oh, the conspiracy nuts are going to have a field day with this! Stephen Hawking is basically telling us we are about to be invaded!!! "the only difference is that these human beings respect each other differences, respect each other’s right to live their lives and don’t embrace violence and failed capitalistic greed"
Well then they wouldn't be very human, would they? Our best hope would be that they're nothing at all like us, or it would be ugly. Especially if they're like republicans. Then they'd think they could do whatever they wanted to since they're stronger than us. It would be irrational to conclude that there could be no such thing as an alien civilization from some far distance galaxy. Often that sort of opinion comes from a religious person, with no disrespect meant. You know,"God made man in his own image, so he would never make any aliens somewhere else" sort of mindset. Hawking's warning has merit; however, we mere earthings would probably attempt to shoot them out of the sky, then having made the first shot - the invaders would be provoked to attack us with unimaginable consequences! Hopefully that will not be our reaction, nor theirs. Fortunately, the potential for aliens to arrive here is probably difficult, due to the vast distance they would have to travel. If aliens did journey here, I doubt they'd just come to visit out of mere curiosity. Likely they would be in need of some type of resources, so let's hope they do turn out to be cuddly ET types, or at the very least, they don't come here to do us harm. Still, what if an alien civilization did desire to come here from their distant planet, which we refer to as a "waterworld," where the majority of the planet is underwater, with only a small percentage being land? Then there'd probably be a good reason for them to come here, and they'd have no problem hiding from us right on the earth - but, way down in the ocean depths. A person does not have to take mind-altering drugs to ponder this possibility. One merely has to have an imagination to dream up this type of senario. As Spock would say, "that conclusion is very rational." Putting the shoe on the other foot, what would life be like for another life form if earthly aliens 'invaded' their domicile? Like Hawkins has stated, they wouldn't be "cuddly". If, by chance, they were human-like the first thing would be to 'civilize' them, then to 'convert and politicize' them, and if they resisted, 'eliminate' them. With shoes back on the feet they belong, Hawkins has read and understood history rather well. Hawkins is a brilliant scientist, however this time he has seen just too many Hollywood productions of aliens invading the Earth. It is undeniable that with millions of planets in the universe there MUST be other intelligent beings, in one or other shape and form. If the time comes and if they act as we humans did when discovered America, than good bye human race. A good human is a dead human, it does sound familiar, don´t it? We earthlings have already made our presence known, with radio waves, television and satellite communications. These transmissions don't just remain on earth, they're beamed across the universe whether we want them to or not. Hawking knows this from elementary science. We really have no choice here, so if highly intelligent aliens do exist, they already know we're here! I am 100% sure that superior forms of life do exist on other planets and other constellations; denying that is just the proof of complete ignorance ... That they do no necessary have to look like the Star Treck characters, that's a different story. As far as Hawkins's opinion is concerned, I tend to agree – it's safer for us to remain "undiscovered", as we are not advanced enough to be able to confront an alien civilization. We are still far from having our own issues under control, how would we be able to face, understand and communicate with an alien civilization? Stephen Hawking, an astrophysicist, who is famous for his black hole theory, utilizing quantum gravity that challenged some of Einstein’s general relativity. Within the black hole is where the laws of general relativity that govern space and time break down. Stephen Hawking is brilliant and stellar. In studying his black hole theory, it became evident that the “G” word that controls this universe is not “God” but “Gravity”. He was even willing to challenge his black hole theory in 2004 expressing that the imploding star does let out very tiny amounts of matter and energy in the form of photons and other subparticles . It is unfortunate that Stephen Hawking suffers from Lou Gehrig's disease which is a neurological muscular breakdown within the body’s system. Even though Stephen Hawking lives in England, there has been talk about The International Space Station as his new residence. The odds are definitely stacked in favor of life existance in the universe and most presumably some very intelligent. It is absolutely ignorant for Stephen Hawkins to say this, we simply don't know what they are like and to assume that they are hostile creates fear and panic when they may be benevolent. They may not even know what hostility is! It's wrong for us to assume that they even think like us! Here is what I say and is the most important thing anyone could say. With the technology they have and going beyond the speed of light, IF THEY WERE HOSTILE WE WOULDN'T BE HERE!!!!!!!!!!!!! Although there have been dark galactics around the planet (like the Anunnaki and the Zeta Reticulans or little Greys), our best information at the moment is that, as the light energy rises in preparation for a global transformation expected to occur in Dec. 2012, they have been driven away by the general environment of light and love. Only benign galactics now exist around Earth, I'm told. They have been successful in preventing further nuclear explosions on Earth (the North Korean blast, I'm led to believe, was not nuclear), neutralizing New World Order pandemics and chemtrails, mitigating HAARP-induced earthquakes and volcanic activity, etc. They have proven to be our valued friends. It would be very interesting if Stephen's comment actually results in the long-suppressed disclosure that galactics actually exist. It's about time that we actually looked at that topic as a world. It is definitely the most important news story of this era. HAS THE NEWS MEDIA NEVER READ ARTICLE 1, SECTION 8, OF THE CONSTITUTION? order to save the whole economy. Read more at the internetfreepress.com. If Stephen Hawking ultimate goal is to incite conversation, hear something that makes sense and be converted.. He’s surely using the wrong tactics. He can’t outsmart God.. Is best approach would be to be totally honest and humble toward Jesus Christ.. After all how can he explain the blood flowing through his veins, or the breath of life yet still in him? To whom does he attribute them? To aliens from outer space? I think not and I would guess neither does he. I really don’t recommend Stephen Hawking to keep trying to outsmart God. It’s a very bad, bad choice. Let me be sincere and totally honest. I doubt Stephen Hawking ever attempted to outsmart God, but you are constantly trying to outsmart others on planet earth via CNN, finding any which way you can to constantly bombard the rest of us with your believe in the creation, from Genesis to Revelation; ie., The Bible! I for one would rather read the words from a rational mind that is open to other explanations to the creation of the universe. Your mind is made up who you attribute life to, but others don't necessarily want to believe or read about your religious ideology, whether or not it existed before you or after you. If someone wants to believe in Jesus Christ that's alright with me, and they can find comfort and be at peace in the sanctuary, with my blessing. What I don't appreciate is an self-appointed internet preacher who cannot even explain how Jonah was swallowed by a whale and lived to talk about it, or how the Bible refers to the Sun revolving around the Earth, instead of the other way around. I entirely disagree with Stephen Hawking's theory that Aliens would be dangerous to Humanity. This kind of muddled fear mongering reminds me of all the artillery shells that were shot into the air over the Washington DC captiol by US Military and National Guard members after a series of UFO's flew and hovered over the White House during the span of several days. In one large morass of just how stupid, ignorant and neanderthal Humans on Earth are, the US Military fired artillery shells for a full 12 hours at the 'bright shinny objects' which simply moved aside to let the artillery shells explode on earth in the various neighborhoods thru-out Washington DC. By and far Aliens speeding across the Milky Way galaxy would see Humanity on Earth as grossly lacking in ethics, moral values and pity us for treating the sole planet we have at this time as a sewage system for toxic waste. Ironically Stephen Hawking, the Van Allen belt circling the entire Earth resulted from bathing the Earth and its inhabitants with above ground Nuclear Bomb test radiation. Stephen Hawking, the Van Allen Belt is the largest Billboard of Mass Stupidity on a global scale which any intelligent Alien visitor would immediately see. It's not a no trespassing sign, its a STUPID INHABITANTS HERE sign. Get it? We have seen this coming for a very long time. We have been prepared for this false flag invasion. The bad aliens have been here all along and can't survive the frequency we are holding now. That is the only reason the elite are disclosing now. They want you to believe aliens are evil and will eat you. He he The "bad" aliens have been around for thousands of years doing just that sucking the life blood out of us. Did everyone miss the past four thousand years of terror, vapirism, murder, slaughter etc? Why do you think the truth is only now coming out about the Vatican and the corruption in govts in time for 2012? Do you really believe the Polish President's death was an accident? The earth changes are due to the frequency rising. We can lessen the affects if we hold a vibration of love and release fear.The shift is hitting the fan and the higher frequency ETs will assit us. They aren't interested in eating us. LOL They don't eat. Why are the govts only now admitting there are ETs and UFOs are real? Because they can't HIDE it anymore. That is the ONLY reason. So what is the only next move possible? Keep them in fear so they don't ascend to a higher frequency. AS long as you are in fear you will be in hell. When you are in love you will be in heaven. It's as simple as that. I was under the impression that space aliens (in human meat suits) are alive and well, running the Pentagon and other government agencies, as we sit and stare at the screen, LOL-ing, OMG-ing, and dodging the real responsibilities of citizens of the United States...what our forefathers fought for, and set out for us to continue. None of us knows what's beyond our infantile reach. Therefore, wild speculation and baseless declarations rule these discussion boards. It is my belief that we'll obliterate ourselves before we ever find any real answers about life beyond our planet. I also believe there's very highly intelligent life in forms we cannot begin to imagine all over multiple universes. If these life forms are aware of us, my guess is that they've deemed us unworthy of making contact with. We're petulant infants with bad habits and murderous temperaments. Why would any other intelligent life form want to interact with us? I always believe that there's life in other parts of the Universe. It's so vast and nobody know what's out there. To say there's no alien exist is ignoring the fact. Why do we think we are the only species exist while there's so much we don't even know? One thing surprised me in Hawking's "Into The Universe" show is that we think aliens should have legs and arms, fingers, and eyes, etc. etc just like human. It doesn't have to. I believe they could be in any kinds of forms. OK, I am a Trekkie, watch too many Star Trek episodes, what can I say? They just might be hybrids of things we never imagined. They might be senseless and might just be diminutive to us. Lets just hope they're not that tough and lets explore planets and maybe we might find better stuff. My apologies for leaving that "G" spot off..your name.. Thank you Stephen. I'll keep my eyes peeled and make like a banana and split if I should come into contact with one of them. And I agree, E.T and cuddly I'm sure they are not. Might still like Reese's pieces, line em' up and see what happens. It does not really matter, people will probably destroy each other before any possible contact. Everyone should realize that humans are the most dangerous...is that true? Yeah, people have been killing each other for thousands of years and mostly over pointless reasons. i.e. religious disputes. Why is religion always in conversations of science? Religion has people who follow their beliefs. Same as science. Religion always has interfered with science... weren't people killed back then by religion for practicing science? Has science ever done anything truely harmful to religion? Have they killed any people who were practicing religion? An example is on The Simpsons, religion shouldn't be taught in school's, as much as religion doesn't want science taught in their churches. Also this country has something about freedom of religion but that hasn't stoped harrasment to something outside it.. Just remember religion was man made, don't get upset. If your religious don't say anything against science because science would not say anything back against you. we have enough to worry about, war, terrorism, economy, healthcare, the last thing we need to worry about is if we will be invaded by aliens. mr hawkins is a brilliant man, can he not think of something more useful to help out the world with our existing problems? Mr. Stephen Hawkings is the world's most famous astrophysicist, not a politician. He's presumedly not qualified to tackle other more pressing world issues, so he's keeping his focus on his particular area of expertise - the stars! Cancer, diabetes and ms all good areas on which to focus. Might you have considered adding ALS to the list? I apologize for being as insensitive as you, but you sound a little shallow. I may never see anything from elsewhere in the universe although I am sure it is out there, but I would surely love to live long enough to see this genius and others cured of ALS. Mr. Stephen Hawkings is the world's most famous astrophysicist, not a politician. He's presumedly not qualified to tackle other more pressing world issues, so he's keeping his focus on his particular area of expertise – the stars! Please direct them to Phoenix, AZ. and have them ask for Sheriff Joe. Hawking as a very good point! If you don't believe aliens could exist and that it isn't a subject worth talking about or studying please open your mind and do a little research. You might just change your mind. I approve of Stephen Hawkings caution, but don't agree. I don't think you could compare aliens with columbus, simply because they are so much more advanced. And why would they raid earth for it's resources if they can get much more resources elsewhere. I think any civilization that is advanced enough to cross the galaxy or universe won't even need resources, or very little. They won't have any deity to push on us either since their understanding makes a deity obsolete. In my opinion they could only be evil if they aren't that advanced and didn't came from very far, otherwise their advancedness would make them being evil obsolete. Ofcourse they could infect us with some super disease, but I think they aren't too fond of diseases either. Still Stephen Hawking has had allot of time thinking about this, he is probably right. Unbelievable that anyone can believe in GOD... who would have to be a super supreme being out there in the great beyond, and then not believe there are aliens! There's no stretch between a God and an alien! We are a speck in the full picture! Most hate between humans on this planet begins and ends with religious beliefs,...Imagine! You are thinking much too narrowly. How do you know there could not be a god for each planet, etc. Maybe they are fighting among themselves to protect their own. There's a narrow perspective here on LKL. Think outside of the box. Furthermore, not everyone who believes in God or is religious in some manner is responsible for all of the deaths caused by religion. Who said their stronger than us. why can't stephen can't speak except through a machine? and... WHY do you think he's he so much smarter than everybody else is, anyway? yet can't even talk right? that's not really a wheelchair... that's part of stephen! Actually, he has a very valid point. Even if they were the nicest folks in the Universe, the most appalling destruction to the population in North America came not from European cruelty and stupidity (which was considerable), but from their carrying germs with them to which the native population had no immunity. Aliens could be just as dangerous. All they'd have to do is breathe while saying, "We come in peace" to wipe out half our population with a disease THEY conquered in themselves centuries ago. I'm not even sure saying, "Great! Welcome to earth! Now step into this bio-containtment room while we check you out" would work – we'd already be infected. If there are aliens out there cruising the galaxy, they are most likely to be looking for a planet to colonize... Someplace with a hospitable atmosphere and abundant food supply. It would be a good assumption that an alien would behave very similar to humans, which isn't good. People laughing over Hawking's statement, but it is actually a prudent policy if down the road we are faced with a first contact scenario. To rush in with a meet and greet, would be ignorant. Humans are curious species, but do you know what killed the cat? Get a grip people! No one has said there will be an invasion. I am relieved that someone with such knowledge of the universe and its laws has finally acknowledged the possibility of other forms of life; being how vast the universe is. It's human nature to seek explanation of what is out there, and we should not be afraid of our capacity. But I agree I don't want any aliens reaching us... if they find us before we find them, they will have proven to be far superior than us. i am the biggest loser mommys boy cry-baby in the universe. If there are aliens i hope they come get me and take me to their plannet. I have been laid twice in my life by girls and i dont like it. I think i might be gay. Oh yeah, i also love cats just as my mommy does. When i grow older i hope to own 500 cats just like mommy! agree...a low profile is good. Just reading the responses to Stephen Hawkins ideas only shows why the world is in the turmoil it is in today. I am a Catholic who also believes in the theory of evolution. Why would God choose to put life on only one planet if he made them all? And if God made man in his own image then what man?? Larry King? President Obama? My husband? The truth is none of us know, and blind faith, dispelling any other rational explanation is very dangerous. If we all could only open our minds to what COULD be, instead of an unequivocal IS- there might be a chance for some peace on this planet. In the final analysis none of us knows anything for sure and depending on your beliefs may or may not ever. Anybody ever stop to consider that maybe WE are the aliens? That maybe we were not here first, but came and decimated? Frankly it would serve us quite right if an alternative life form group came and did to us what we have done to the indigenous natives what we have done and continue to do . I don't know about aliens, but I do know that there are evil spirit beings that exist in outer space. They are princes of the power of the air, spiritual authorities in high places, that are the enemy of God and the human race. The Bible describes them as demons, fallen angels. The holy angels of God are constantly fighting them to keep us safe from them. They cause a great deal of the evil that occurs on planet earth. Better stick to your theoretical physics. Us Humans have already tried to leave this planet to discover the moon and other planets, hasnt anyone asks WHY? we need to keep evolving just like human, aliens must think is there anyone out there, we are just all curious beings everything is and when humans land on another planets aren't we then called aliens, outerspace is very vast and of course there is life existing on other planets and moons. I have had a few experiences myself and i know 100% they exist but where they come from is the zillion dollar question everyone wants to know but cannot answer and thats what i think we are all afraid of, there is intelligent life in outerspace but where do they came from. My honest opinion is they're time travellers trying to find out where they came from or if there is life in outerspace the same as theres and they've the technology to find out the past and the future, just like humans are trying to go into space and perhaps live there in the future! how can we not except an alien race from outerspace if we are doing exactly the same thing now and in the future exploring space for the future of mankind. we would know a hell of a lot more if the powers that be spent there finances on exploring outerspace in stead of being hell bend on detroying ourselves and this beautiful planet we call home.! Embrace the future with open arms i know i will be and if that means another race from outerspace i hope its SOON! Yeah, it would be something if the aliens were human, and that something would be an IMPOSSIBILITY. There have been billions of random events that have resulted in what we call 'humans'. To claim that these billions of events occurred somewhere else, in the same sequence, is not remotely possible. they need or want. It's like finding a supermarket in the middle of a stroll throught the Gobi Desert, and then expecting to have a meanful conversation about yourself with a Honey Baked Ham. The only question from the alien would be 'where do you keep the mustard?'. It's a wild hope that these aliens are vegetarians. Vegetarians don't evolve into explorers who seek out other worlds. They become side dishes for the more aggressive species along the way. See, ie; the Neanderthals. I hear they tasted like chicken. Thank you, you just relieved me of my angst and will have a good night sleep. However, what happens if those fallen angels are more powerful than the ones with the shiny wings? What if one of those demons has a chance to visit me in my sleep? My angst is back again, so there is only one solution, chuck the Bible and do not believe a word it says. Now I am ready to have a nice and peacefull sleep. @Dave Or they could be like Democrats and think that we are not smart enough to know what we want or need. If there are aliens, how come they haven't asked O'Bama for money? I actually fear our man kind more than an alian. Hopefully they help us with our own evolution/ re-volution. Don't be silly, we are already here. If we intend to cause any harm, you wouldn't have the time to say a sentence like: "...they could be dangerous." ...By the way, on your point of the 4th dimension exist and be so small that we cannot see it, I have some good news 4 you. Just in case if you need to get any deeper in this subject. People are the same no matter where in the universe they may live.We don't need aliens to understand life.We are the aliens to the aliens and look how we act. see? Dion Reed and Cindee are just great people. ...and they are all inhabited, Warrior, and we are not thrown in the space by ourselves; these people take good care of us without interfere in our free will. Believe me. The ones who is able to get to us is evolved people and should be respected by the amount of personal conquers they have acquired. Like one of us, detaching from the ordinary and limited mind. As I watch the local news I see the following: Protestors with no US Flags, but only Mexican Flags? Why is that? If they are citizens, shouldn't they be proud of the US Flag? Local students skipping school who are excited for a non American entertainer (Shakira) to visit the city since she is a "really good dancer" How is that going to help? When protestors are asked if they are register to vote they say, NO. Yet 70% of voters support the new law, why is that? Then you have other states saying boycott Arizona, which makes no sense. They should focus on their issues, not ours. If they want illegal immigrants to have the same rights as legal citizens, then perhaps they should ask all illegal immigrants to come live there. This whole debate is sad, it really comes down to the fact that a law is being broke and finally someone is trying to fix it. Its not the best law, but sometimes its about "one small step." No need to worry about the Aliens coming to annihilate planet Earth citizens. We already do a pretty good job without their assistance – why would they bring more fear here when we demonstrate we are masters of it. Just look around you and see who controls your existence through fear. Those are the "aliens" living among you and brainwashing you to a numbless fearful state. Those parasitic "aliens" dumbing us down should be our main concern. Those "aliens" are the ones who have no Love for others. I doubt very much if any outside Aliens would bother to make contact here on Earth unless the human beings had spiritually evolved enough. They probably shake their heads when they view all the myriad of religions selling their products like supermarkets. 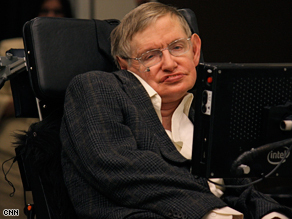 Its sad and depressing to hear that Stephen Hawking has so little faith in Humanity living in clusters other than that on earth that they would remotely be as corrupt, greedy, unethical and unmoral as the early explorer's in South and North America which historically is recorded as directly resulting in the mass genocide by those soldiers and invaders. And where does that fear and hatred come from? The crass and self-serving propaganda that the US Military has pumped out since 1950's and encouraged and helped Hollywood produce decades of smear campaigns against peaceful explorer's from distant worlds visiting their brothers and sisters in humanity here on Earth. Has there been Hollywood films depicting Humanity for other worlds in a favorable light, yes but very few in comparison to those whose sole purpose appear to fan the flames of fear and bigotry against Humanity from planets other than Earth. What Stephen Hawking appears to have forgotten or not yet understood is the FACT that any world that is divided by conflict and war's are not going to be able to humanly travel thru-out their own solar system much less beyond it which is a basic need to find and communicate with humanity from planets other than the cluster found on Earth. It is going to take a planetary unified effort to extend Earths humanity thru-out Earth's solar system and beyond it. That simply is not going to happen while the Earth's resources are being used and burned up for military weapons, nations are attacking one another and other nations must produce more weapons in case those nations attack them. I'm watching a rebroadcast of your show about the Arizona immigration law. The sherrif is saying that they have the right to know if someone who has commited a crime should be handed to the courts or immigration. Would a criminal under arrest already face that situation? What's the need for the extra law that flies in the face of the Constitution's guarantees against unreasonble search and it's protection of privacy when the law isn't needed in the first place? Imagine if aliens come here and they're all adorable fluffy creatures with psychic powers. Awww I hope that happens. Looking at the process in detail, it is clear that long periods of time would be detrimental, rather than helpful to this fraudulent, totally contrived and deliberately misleading so-called “theory” of the origin of life which was created, among other reactionary reasons (see below), in order to provide a false pretext for NASA to carry out extremely costly and entirely unnecessary and useless space ventures using the primitive form of space travel, rocketry, to outlying planetary satellites under the false pretext of “searching for life,” wherever there might be water (!) discovered by spectral analysis for example, in order to keep their jobs and obtain continued government funding and to serve as yet one more pretext to divert money from social spending. The most recent ridiculous “projects’ in this series are the Obama plans to revisit the Moon to build a moon base and take a trip to Mars and trying to privatize—just like Bush—what should properly be part of the existing government, even after a Socialist Revolution in the United States! Privatization of government agencies reflects both the one-way dynamic of capitalism and its true inherent anarchy. Instead there should be a concerted attempt to develop (or back-engineer) the electromagnetic anti-gravity engine used by the UFO’s. This requires nuclear power and a structural material which is super-conducting at room temperature. That material exists and is known as the nanotube form of carbon, the hardest known material ever discovered, far harder than diamonds. But it is highly likely that there is too much money invested in rocketry the most primitive form of space travel, which is also backed by the oil industry. This is further proof of the almost entirely one-way dynamic of capitalism leading to Fascism, barbarism and finally the end of civilization; and now with the advent of the Runaway Greenhouse Effect, the end of all life on Earth. We need a Socialist Revolution here in the United States. In the final analysis all wars are won and lost on morale and every movement begins with the call. This analysis is part of that call.